Kisi Nazar Ko Tera Lyrics: This Cover Song is sung by Sonu Kakkar. The music of this version is given by Aakash Rijia. Kisi Nazar Ko Tera Intezar Aaj Bhi Hai Original song from Aitbaar (1985) Movie is sung by Bhupinder Singh and Asha Bhosle Written by Lyrics Hasrat Jaipuri and are filmed on Dimple Kapadia With Raj Babbar And Suresh Oberoi. Ghayal wo pyar aaj bhi hai..ho..
Sau gawar aaj bhi hai..ho.. 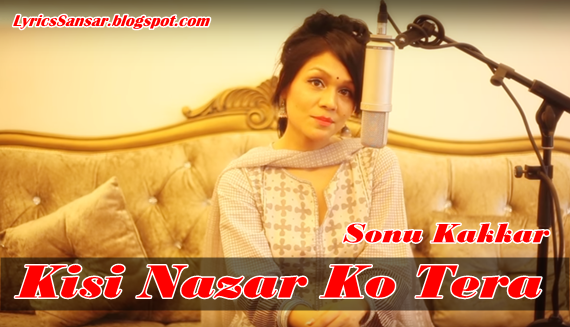 Note : This blog does not provide a download link Kisi Nazar Ko Tera (Cover Song) Lyrics – Sonu Kakkarmp3.